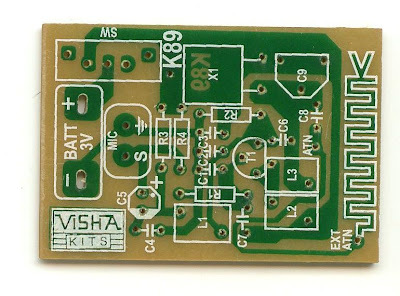 Visha Electronics carries a very low cost FM transmitter kit based around BF494 NPN Bipolar Junction Transistor. 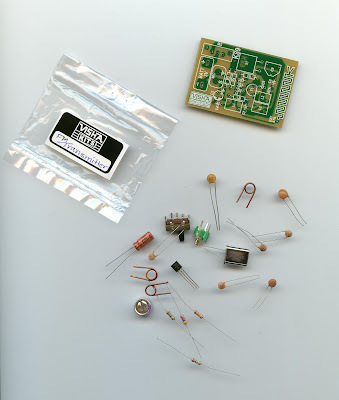 The kit has a condenser microphone to pickup sound. 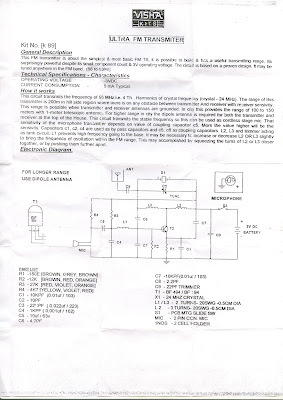 A variable capacitor is also present to tune the transmission frequency anywhere in the 88-108 MHz range. 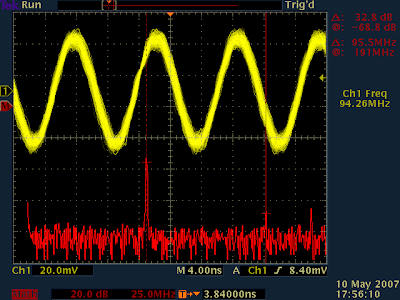 The transmitted signals can be picked up by any stand radio receiver. 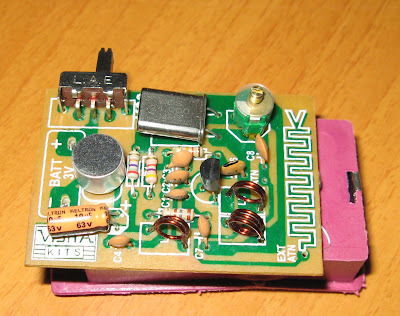 A simple receiver circuit can also be built, like the one shown here. Please visit http://www.vishaworld.com for details on more such kits. Students are invited for workshops/courses at our LARE Learning Center for an opportunity to assemble and experiment with such kits.